Also important is that the ability to adjust sliders in Diamond Dynasty’s Moments Mode appears to have been removed (something not listed in the patch notes) while nothing yet has been done to help improve upon framerate issues that are hampering the experience for many. ♦Fixed a sequence in March to October that would result in the 7th game of the World Series to be simmed instead of played, nullifying rewards. ♦Minor tuning to AI and animations, which includes fixes for missed tags following throw cancels. ♦Fixed a floating bat on specific follow-through animations. 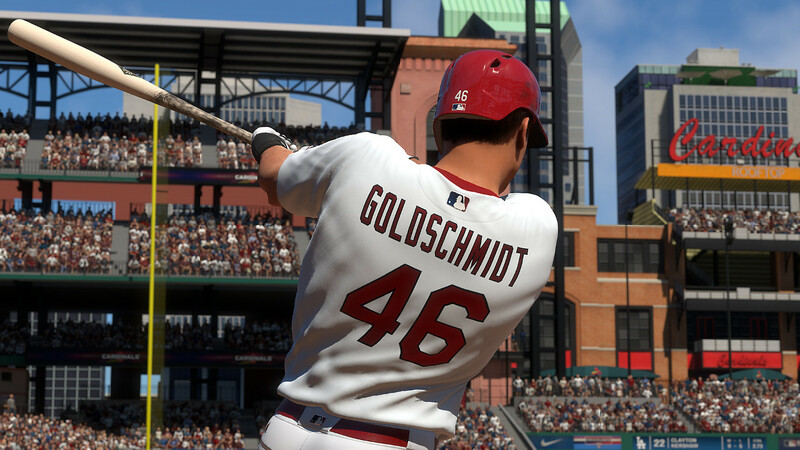 ♦Road to the Show Dynamic Quest adjustments. ♦Adjustments made to Guess Pitch audio feedback. ♦Fixed various consumer reported crashes. ♦Intro videos will now play when fast-play is set in March to October. ♦Fixed an issue related to Conquest and Ranked Seasons where total XP earned (aka “Level”) was being set back to a previous timestamp. ♦Other various minor bug fixes.